Good morning, dear readers! 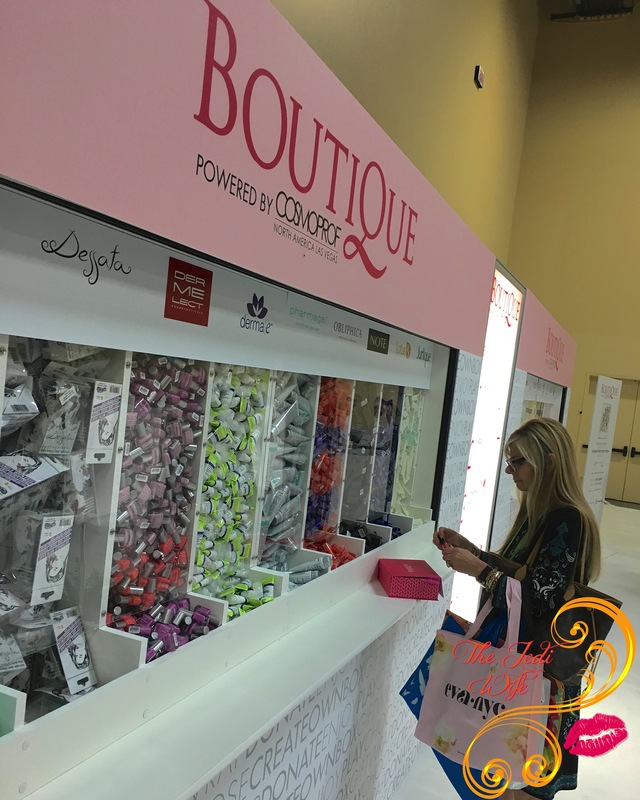 How about another Cosmoprof North America post? 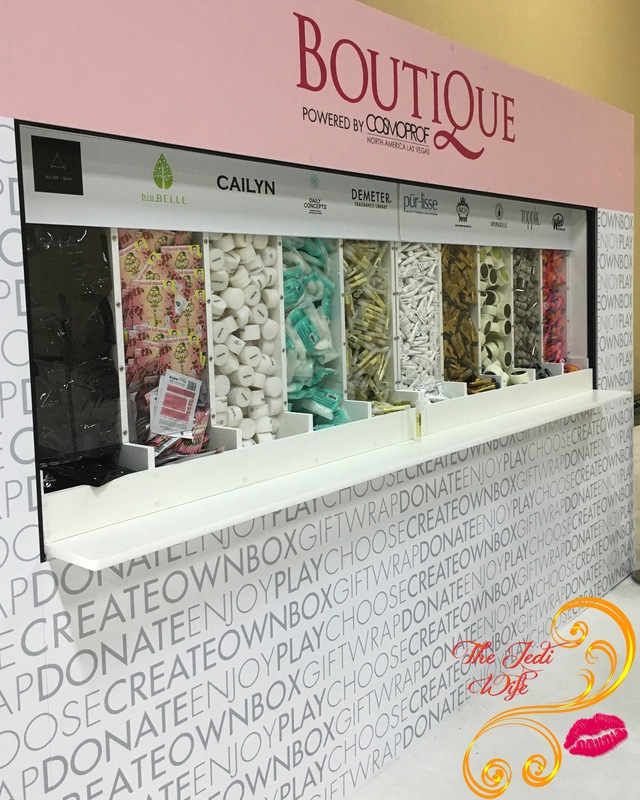 For today's post, I wanted to share some of the details about Boutique, the sampling bar showcasing deluxe premium-size samples from twenty exhibiting brands. For a donation of $10 (or more! 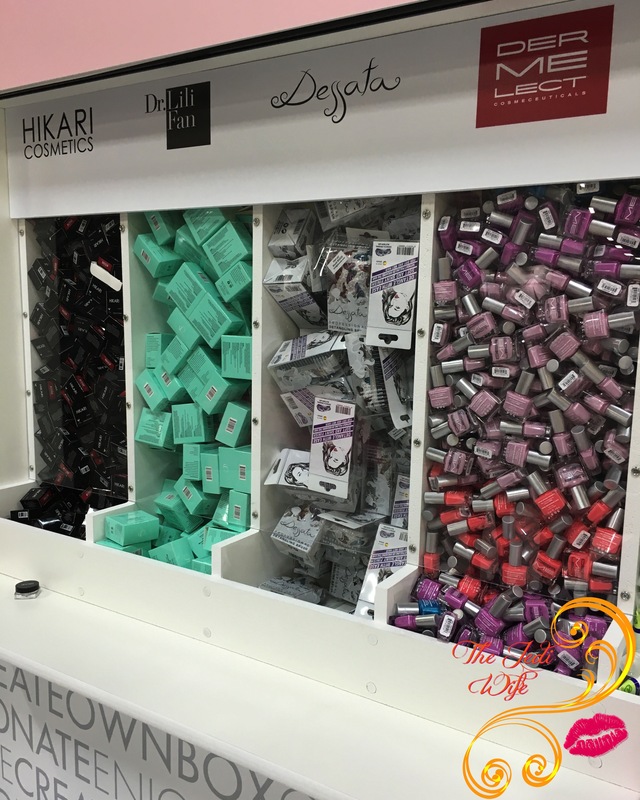 ), attendees chose seven samples out of twenty-featured products. 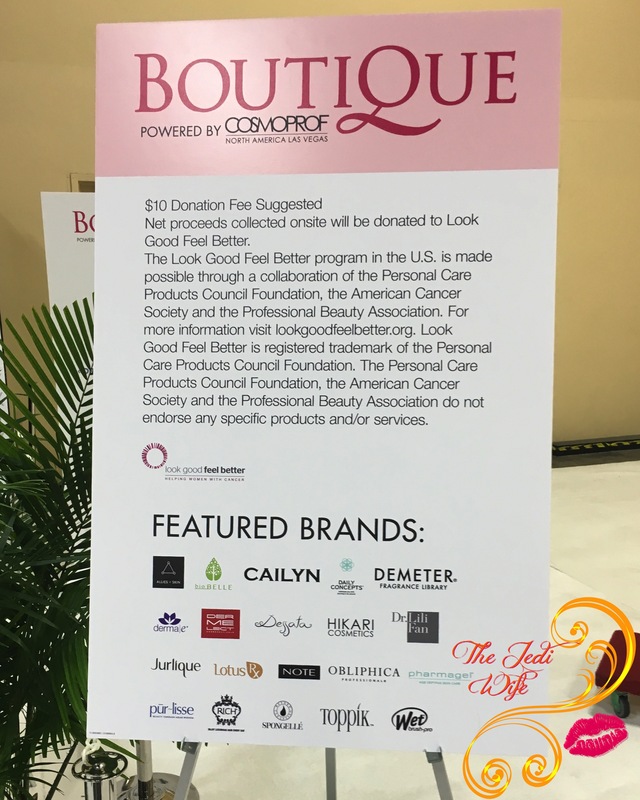 This year Cosmoprof North America raised over $13,000 to be given to Look Good, Feel Better. 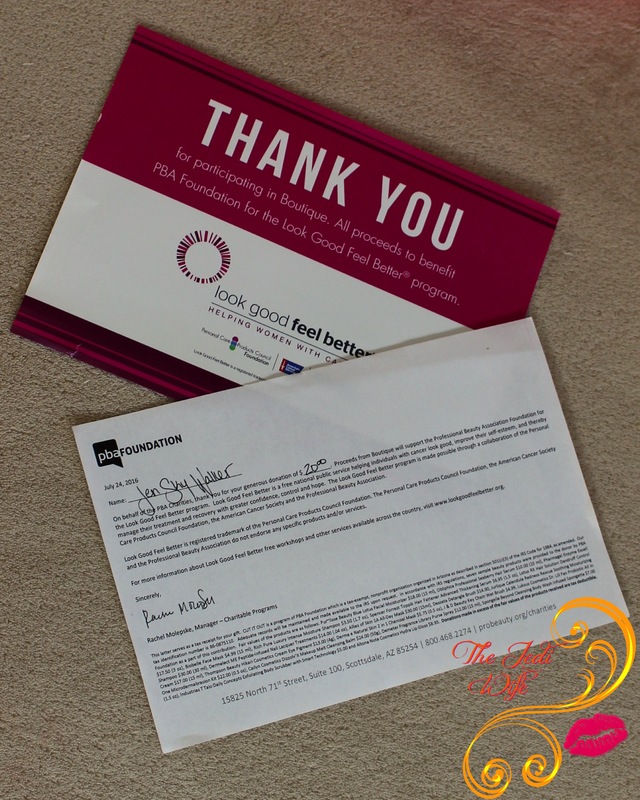 Look Good Feel Better is dedicated to improving the quality of life and self-esteem of people undergoing cancer treatment. This program offers complimentary group, individual, and online sessions that teach beauty techniques to help people with cancer to face their diagnosis with greater confidence. Annually, approximately 50,000 women are served in the US, and there are 15,000 workshops held across all the states. 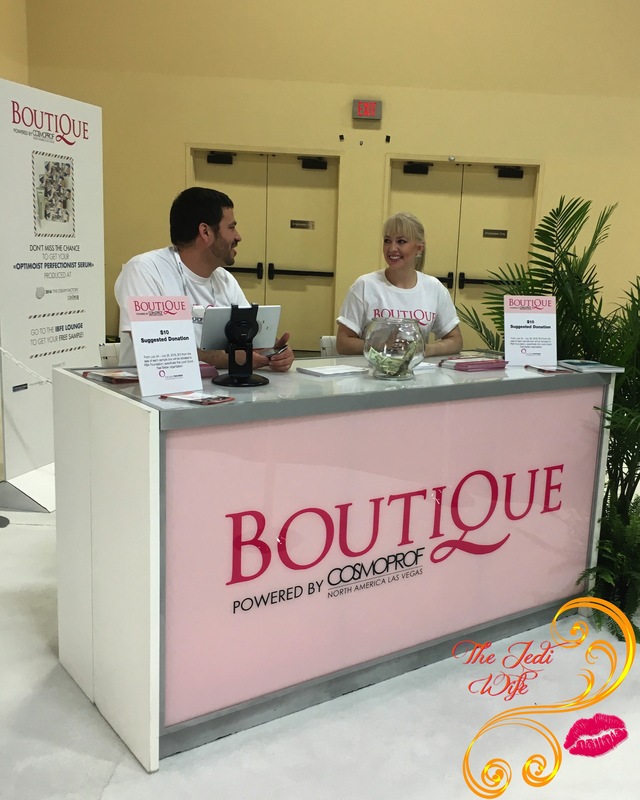 It's a wonderful opportunity to give patients a boost in confidence, and I encourage you to volunteer, either as a professional in the beauty industry or as a layperson to help out. 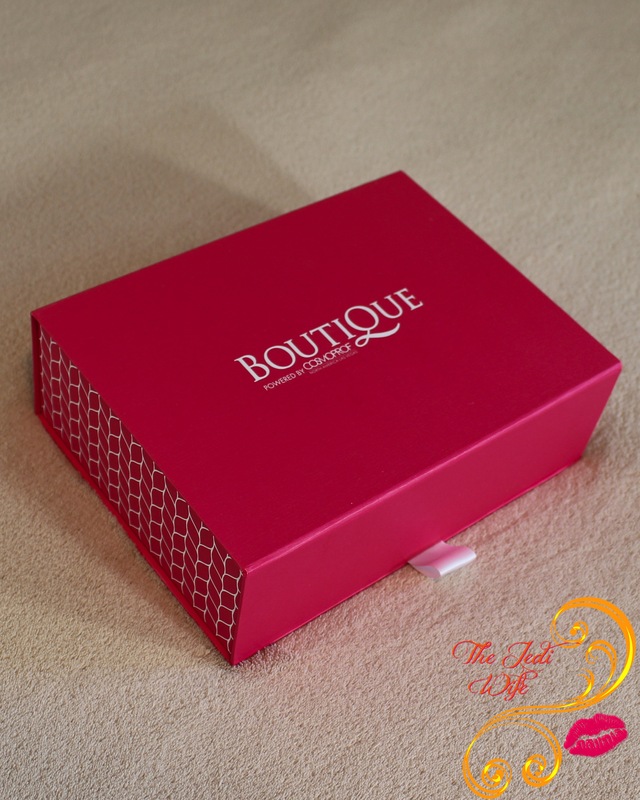 Once your products were selected, they were packaged up in this keepsake box. Those that curated a box and donated received a donation slip for tax purposes if requested. This is the box I curated for myself, and you can expect to see the contents show up on my blog soon!